Considering purchasing the Numark Mixtrack Platinum DJ Controller? Have questions? Ask people who've recently bought one. 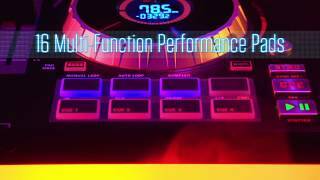 What is the dimensions of the Numark Mixtrack ? How do you connect this unit to 2 other decks ? In your opinion which is the better unit the Numark or the Pioneer DDJ RB or DDJ SB2 ? Do you own the Numark Mixtrack Platinum DJ Controller? Why not write a review based on your experience with it. The Numark Platinum is outstanding value for money and it really is for anyone who doesent mind looking at their PC. Its a much cheaper alternative to the NS6. Its extremley versatile and easy to use. Can be used with either Serato or VDJ. This product blew me away!!!!! I previously had Numark Party Mix, which was small but i use it to practice and now i felt i can upgrade, and believe me i made the right choice. This product(Numark Mixtrack Platinum) here is great, arrival time was spot on and the equipment itself was great and packaging was perfect. Even though it's an upgrade for me, this product is easy to install and easy to operate. More lovely features added, it is exactly what is says in the description and on online videos. I am not a review person, but i am so happy with this product i could not refuse to leave few exciting words. I am not worried about loyalty points, I assure you, this product is amazing. the lighting on the disc drums wow, for a beginner and even professionals it has a lot of cool stuff to enjoy. Thoroughly enjoyed using these as a starter kit. They had everything I needed and have used them a lot. Recommended for new dj’s on a lower budget. This is great and easy to use and is plug and play. Spot on for taking to small gigs or as a backup. Even has displays on jog wheels. I was a bit unsure on going for the numark controller as opposed to the traditional decks or cdjs. But I can't actually fault it, it's a great bit of kit. What a piece of kit. Revolutionary and an amazing addition to my set up. Great service again from the guys at DJKit. 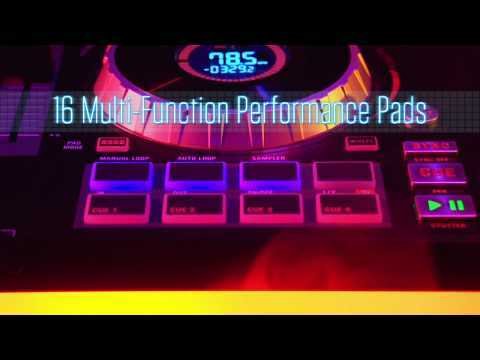 Seen a video for Numark Mixtrack Platinum DJ Controller online or have you own video? Check out Numark Mixtrack Platinum DJ Controller on DJkit.com!